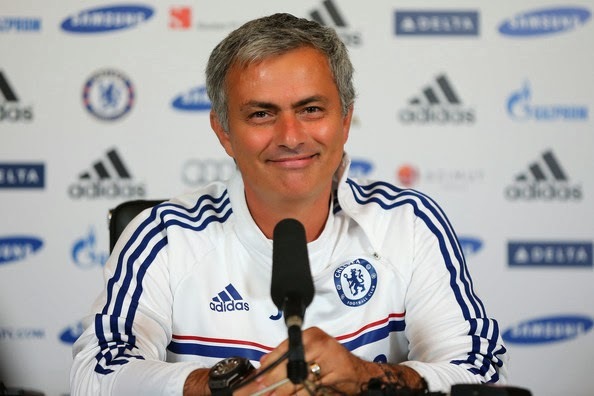 JOSE MOURINHO: "JOB DONE - WELL DONE CHELSEA!" Jose Mourinho has spoken about Chelsea's transfer dealings in the current window and has announced the watching world that as far as Chelsea are concerned it's "Job done" until the summer. "Job done. The last one in the transfer window. In almost every position, we have the present and also the future. If we don't do it now, probably we can't do it in the summer because other clubs were also very strong on him. So we did it, now he stays at Saint-Etienne, pre-season he will join us. We will see if it is to stay or if it is to go on loan. He's another young player in the profile of some Chelsea signed in the couple of last years. We liked the profile, we think he's very much adapted to the Premier League. He is a young player for a position where we also need the future. He's a player with big potential, physically ready. One thing is to be physically ready, another thing is to be tactically ready. Well done Chelsea." So Chelsea fans what do you think of our current squad and the fact that as Mourinho says, we have one for the present and one for the future?